It was the meeting of friends who care about the city. 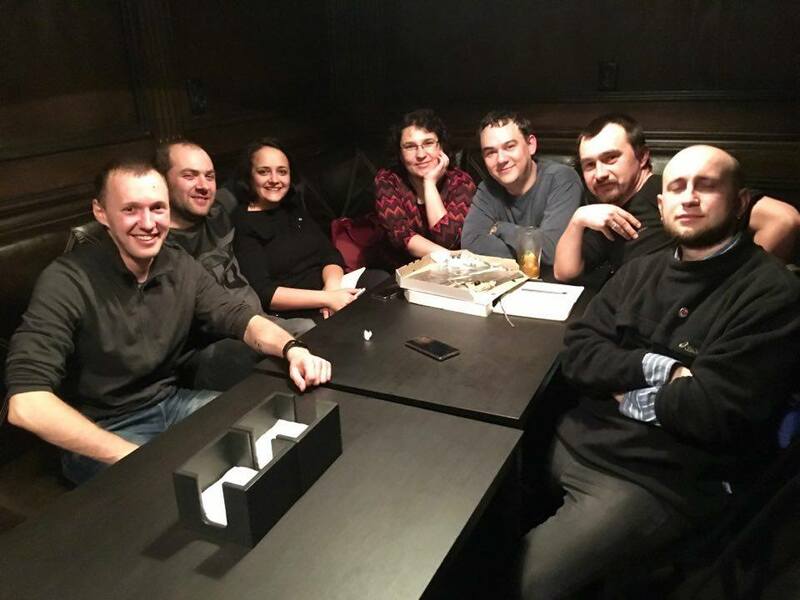 We gathered in a cozy 28/33 Home Bar which is situated in historical part of Chernivtsi city (regional center in western part of Ukraine). A bit partisan and hipster atmosphere inside and hot drinks took us from spring coldness and brought to the world of ideas. Open data theme is just starting to be talked about in Ukraine. From one side this worldwide trend is influencing the situation in our country. From another side there are only few organizations, cities, groups of people who have enough capacity not only to speak but also to do something to open data. Unfortunately our city is still on the beginning of this process, nevertheless we want to move further. 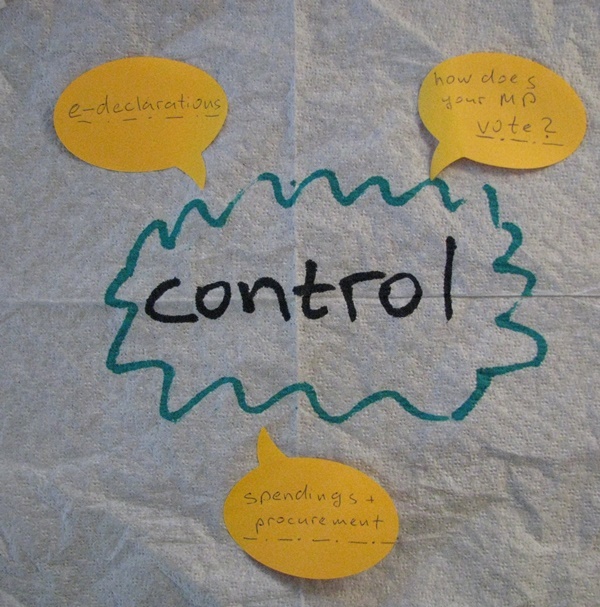 As the great majority from our group were NGO activists the “control” and “watch-dog” functions are important for us. The best examples of data to control we want to work with are the e-declarations, budget spending data and results of voting of local deputies. Last year we had a big portal of e-declarations launched in Ukraine. All the officials must fulfill declarations online and the information from them is open to the citizens. This portal has an open API that is sharing the data in JSON format. This is a good opportunity to make some tools for automatic analysis of these data. We scrabbled a little in this API and decided to make a separate meeting before or after 1st of April deadline to work with declarations of deputies of local city council. Also we understood that we need to learn how to work with JSON format. At last I presented the national project Rada4You. This project is Ukrainian replication of Australian They vote for you project. The replication was made by Civil Network OPORA activists in 2016. The main idea is to scrape voting results from Ukrainian parliament and to use these data for some analysis. For example at this moment it is possible to unite several voting into one policy and to use this instrument for fact checking (to check the public speeches of MPs and how do they vote for different policies). It is also possible to analyze the compatibility of different MPs as there is such an instrument in this project as “Friends for voting”. At last the project is sharing all its data through API in JSON format. During our meeting we decided to work on replication of this tool on local level and to make the similar tool for Chernivtsi city council. That evening we had a city mayor adviser between us. So it helped us to understand if we could rely on support from that side. We spoke a lot that Open data can be used by the local authorities as an instrument for participation. To be honest we understand that city council has a lack of technical and financial capacity to work deep and intensive in open data theme. Also we know that are not a lot of open data specialists in the city. 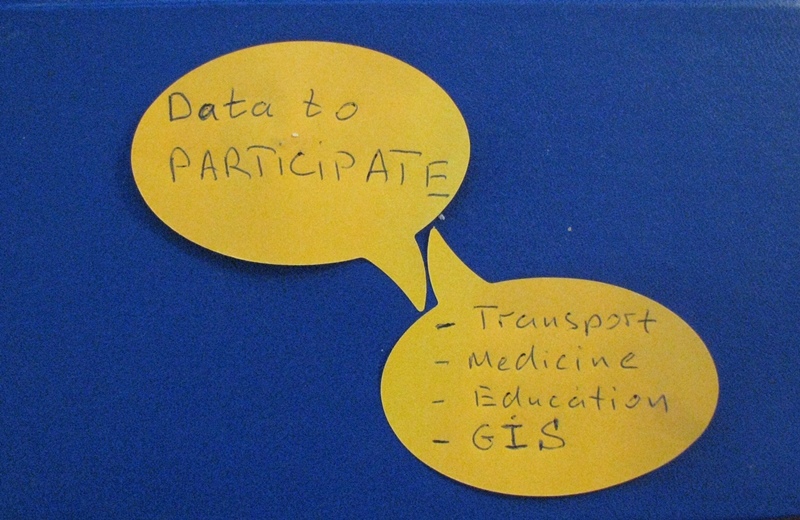 Nevertheless there are some spheres that we can and do must to speak about open data approach. So we detected these crucial directions. Transport data. At this moment we had some kind of transport crisis in the city. The city council is working on some ideas how to improve the situation. So we need to speak with all the stake holders to achieve the situation that transport data won’t be closed from community. Also we understand that this type of data is not easy to be work with so we need learn how to use and work with transport data. Data from Education system. We spoke that Educational system accumulates a lot of data and is not sharing them. These data can be used to make some relevant tools for parents to choose schools for their children. Data from Health Care System. This type of data on our point of view should be also in focus as Ukraine has now the period of health care reform. The datasets dealing with the free of charge medicines, lists of hospitals and pharmacies, medical equipment should be opened. GIS (geographic information system). In Chernivtsi city council is working on GIS implementation. The situation is the same as with transport data. There are some risks that information from GIS can be closed from community. So we need to have an advocacy campaign to make it open. This Open Data Day meeting was possible thanks to Open Knowledge International support. And I hope it is only the first but not the last. We have some plans, they are not clear now but we are ready to make them not only clear but also real.